Arrive Delhi at International Airport, meet and greet and escorted to the hotel . Overnight stay at Hotel. In Old Delhi visit the majestic Red Fort, the historical, Jama Masjid, India’s largest mosque , besides Raj Ghat . In New Delhi visit the president house, the one-time imperial residence of the British viceroys; the India Gate, a memorial raised in honour of the Indian soldiers martyred during the Afghan war; the Laxminarayan Temple, built by the Birlas, one of India’s leading industrial families; Qutab Minar, built by Qutub-ud-din Aibek of the Slave Dynasty. Overnight stay at Hotel. In the morning drive to Neemrana. On arrival check–in at Palace hotel. Rest of the day at leisure to view town’s truly majestic atmosphere to relax and to enjoy panoramic views of the landscape. Overnight stay at the fort Palace. Day 4: Neemrana - Jaipur 130 Kms. 3 hrs. In the Morning drive to Jaipur. On arrival check-in at Hotel . Afternoon sightseeing tour of Jaipur city including, City Palace in the heart of Jaipur is known for its blend of Rajasthani and Mughal architecture, followed by another monument Jantar Mantar (Observatory), built by Sawai Jai Singh. The Hawa Mahal or the Palace of Winds was constructed for the royal ladies to watch the royal processions without being seen. Morning excursion to Amber Fort, in a distance of 8 kms from Jaipur city.. You enjoy the unique experience of riding on elephant back to and from the top of the hill on which the fort is situated. Overnight stay at Hotel. After some relax, In the evening pay a visit to the Birla temple at the time of prayer (Aarti) ceremony. Overnight stay at Hotel. Day 6: Jaipur – Samode : By Surface 60 Kms. 1.5 hrs. Morning drive to Samode. On arrival check-in at one of the best palace in Samode, Samode Palace . Samode offers a wonderful elegant and luxurious atmosphere. Rest of the time at leisure to explore the location. Overnight stay at Hotel. In the morning drive to Karauli. On arrival check-in at hotel. Later in the day you will have an opportunity to explore the colorful bazaars and its narrow lanes visit, City Palace, a treasure trove of architecture, stone carvings, gorgeous jalli work and classic paintings. Visit local bazaars and village of Karauli. Overnight stay at Hotel. In the morning drive to Ranthambore national park. On arrival check-in at Hotel. Ranthambore National Park is the former hunting ground of the Maharaja of Jaipur. Day at leisure for independent activities. Overnight stay at Hotel. Morning and afternoon canter ride to the Ranthambore National park, exploring the park. Overnight stay at Hotel. Day 10: Ranthambore – Kota : By Surfae 2.5 hrs. In the Morning drive to Kota. On arrival check-in at Hotel . Late sightseeing tour of Kota, visit Chambal Garden, Maharao Madho Singh Museum, situated in the old palace; The Government Museum, housed in the Brijvilas Palace near Kishore Sagar,. If you can spare time visit nearby place Kota fort. Overnight stay at Hotel. Day 11: Kota – Deogarh 3.5 hrs. After breakfast in the Morning drive to Deogarh. On arrival check-in at Deogarh Palace. The Deogarh Mahal is situated on a hillock. Later visit local village and their life, enjoy your stay at the Deogarh Mahal. After breakfast in the Morning drive to Jodhpur - Gateway to the Thar desert of India. On arrival check-in at Hotel. In the Afternoon sightseeing tour of Jodhpur including majestic Mehrangarh Fort situated on a high hill, one of the most impressive and formidable structures, Jaswant Thada - a memorial built in pure white marble for the exclusive use of the royal family, as a crematorium. Also visit Umaid Bhawan in rose colored sandstone; Mandore Gardens. Overnight stay at Hotel. Day 13: Jodhpur – Ghanerao : By Surface 3 hrs. In the Morning drive to Ghanerao. On arrival check-in at Hotel. 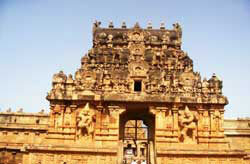 Later visit the Ghanerao, which is a small village surrounding with temples, step-wells and marble archways. Meera hai also spend her childhood in Ghanerao. Overnight stay at Hotel. After breakfast drive to Kumbhalgarh. On arrival check-in at hotel. Kumbhalgarh The huge stone bastion stands atop a hill and allows access through spiked gates. The fort wall covers miles over the hillside and a walk on it. Overnight stay at Hotel. After breakfast drive to Udaipur. Arrive Udaipur and check – in at hotel. Afternoon sightseeing tour of Udaipur including Fatehsagar lake, built by Maharana Fateh Singh in 1754 A.D. Also visit the Jagdish Temple, the largest and most venerated temple of Udaipur; Sahelion-Ki-Bari”, consisting of an ornamental pool with delicately carved chhatries of black and white marble and soft stone.